When it comes to international migration, everyone has questions. Are immigrants good – or bad? Are there more immigrants today than last year? Read on to find out the answers to the 4 most commonly asked questions about immigrants. Whether you’re living in India, Europe or America, migration is a buzzword that is hard to ignore. Immigrants make up a small but hard to ignore the percentage of the population. While they are perceived as negative elements not all immigrants are unemployed and uneducated. Here are the answers to some of the most commonly asked questions about immigration. Is the number of international immigrants actually increasing? The simple answer: yes. 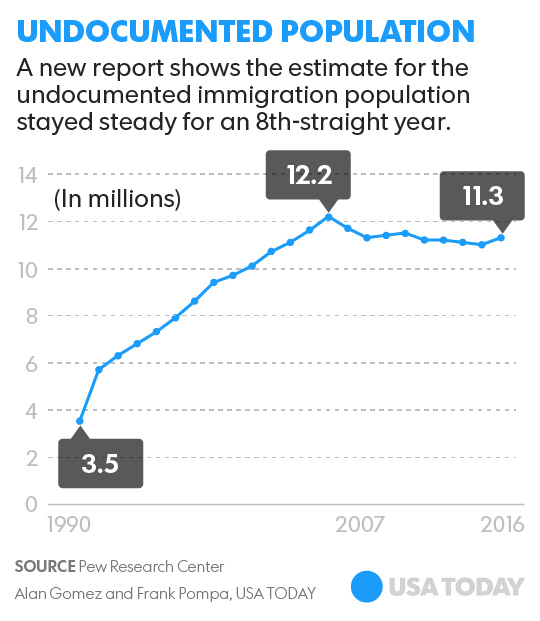 The number of people migrating from their native countries has been steading increasing since 1990. In 2017, almost 258 million people migrated from their home countries in search of better job prospects, educational opportunities, higher standards of living etc. This marked an increase of over 100 million migrants between 1990 and 2017. The USA was the most popular destination for migrants while India was the biggest source of migrants. What is the percentage of immigrants to citizens in developed countries? As one would imagine, most immigrants move towards developed countries. Some people choose to emigrate temporarily while others eventually become citizens. In 2013 Spain had the maximum percentage of immigrants who chose to retain their native citizenship while staying in Spain. This may include children who were born to people who had retained their native citizenship while staying in Spain. In the USA 7% of immigrants retained their native citizenship. Which developed country has the most illegal immigrants? It isn’t easy for a country to calculate the actual number of illegal immigrants. This is because very few illegal immigrants are parts of a census or other legal estimation techniques. The comparison is also hard as each country estimates its number of illegal immigrants in a different way. In 2008, an estimated 1.9-3.8 million illegal immigrants made their way to Europe. In 2016, Spain alone accounted for 2.8-3.5 million illegal immigrants. The USA had 11.3 million illegal immigrants in the same year. These people accounted for about 3.5% of the total population of the USA. What are the most popular professions for immigrants in the USA? Contrary to what people would like to believe, immigrants do make a significant contribution to a country’s economy. A study in 2014 showed that immigrants are occupied in many different fields. Leisure and hospitality, construction and manufacturing are the top 3 occupations for illegal immigrants. On the other hand, the top 3 occupational areas for legal immigrants were wholesale and retail services, business services and manufacturing.